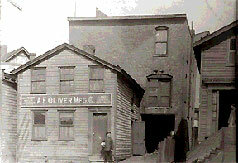 From its beginnings as a machine shop in 1892, Oliver Gear, Inc. is one of the oldest gear works in the United States. 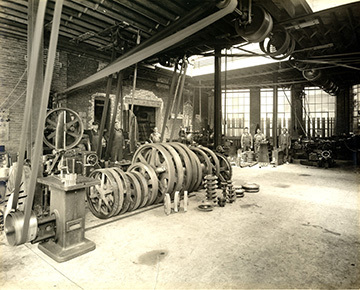 Oliver Gear was formally incorporated as a gear works in 1907 and was the first exclusive gear manufacturing plant in Buffalo, NY and the Niagara Frontier. The founder, Arthur F. Oliver, was born in Boston, Ontario in 1870. He came to Buffalo, NY to work at the New York Car Wheel Company. After several years he moved on to work for a machine shop in a small building on Cherry Street that was to become A.F. Oliver Manufacturing. In the early days, gears were manufactured without the convenience that electricity would later bring. Power was provided to the original gear equipment by using a system of pulleys and belts. The city of Buffalo first got electricity in the 1880s, but it was not widely used until the early 20th century. By the early 1920’s the company had outgrown its first home and moved to larger quarters. By 1931 the growth of the company required a third move, this time to its present location on Niagara Street overlooking the Niagara River. In 1947 A.F. Oliver retired at the age of 77 and sold the company to the Smith family of Buffalo. It remained under the control of the Smith family until Samuel T. Haines purchased it in 1973. Oliver Gear was brought into the newly formed Gear Motions family as part of a strategy to build a diverse group of custom gear shops organized into one corporate family. It was Oliver’s ability to produce large pitch and large diameter gearing up to 10 feet that was very appealing to Gear Motions. 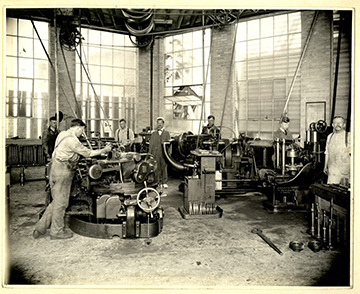 In over 100 years of production, Oliver Gear has made gears for all types of equipment including elevators, ski lifts, petroleum exploration, production and refining equipment, agricultural machinery, machine tools, power generation, valve actuators, container filling equipment, compressors, and more. During World War II Oliver supplied large and small gears for gun mounts being supplied to the military. Oliver’s extensive production facilities are devoted almost exclusively to the manufacturing of custom gears in many sizes and styles in low to moderate volumes. In more recent years, Oliver Gear has reached new heights, setting a new benchmark for growth. This includes a plant renovation in 1995, the addition of gear grinding capabilities up to 700mm, and an ongoing improvement to the quality system to attain ISO 9001:2008 certification in 2010. 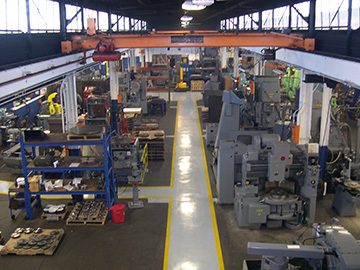 In 2012, Gear Motions acquired Pro-Gear Co. Inc. and integrated this operation into the Oliver Gear facility. This acquisition broadened the capability of Gear Motions for short lead-time and quick turnaround for the gear grind only business. Today Oliver Gear employs the latest technology and world class processes to meet and exceed its customers’ expectations. With a highly skilled workforce, it incorporates extensive experience with modern equipment to continue the principles of its founder, A.F. Oliver.